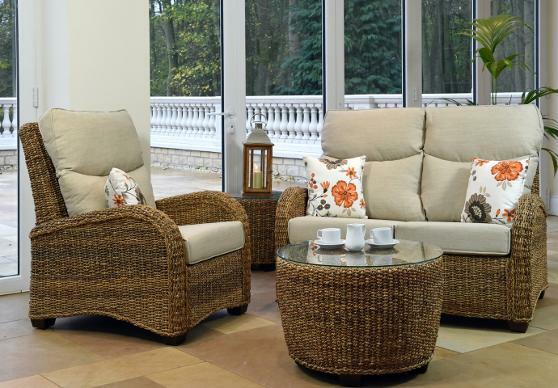 A stylish and robust range woven using a twisted dark banana leaf material. Contemporary round side and coffee tables provide added versatility to this modern range. Shown in Dark Banana Leaf finish with Plain Linen fabric and optional Hampton Fawn scatter cushions.